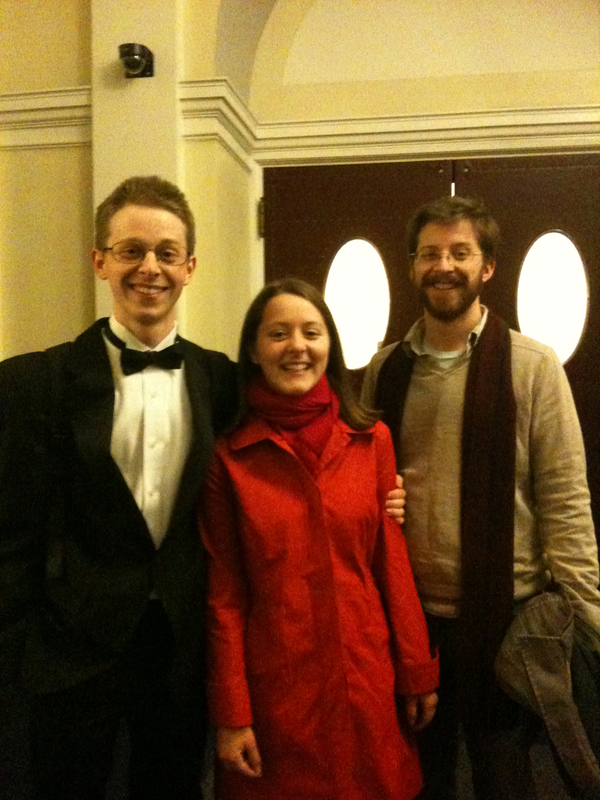 All three, together at Jordan Hall, where we heard Snowman play tonight. It's late, but now all the birds are in the nest, and the Mama Songbird is content. Lovely picture! All home to roost for Thanksgiving. What a blessing! What a joy!